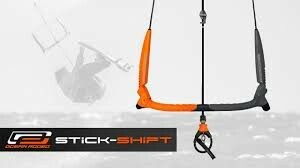 Refining from the stick shift, the new Shift bar combines Innovate 3’s’ technologies and Ocean Rodeo engineering to be a back line trim bar that provides reliable seamless power adjustment. Enjoy riding without having to take your eyes off the water. Featuring our new stainless steel centre housing, better routing to flush out debris, and the latest in CL releases with the new Gen 8 Punch out system the Shift bar is your key to fun, progression, and riding that allows you to focus on where you are over what got you there. 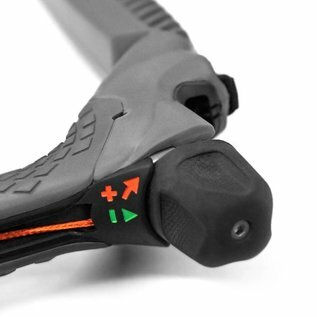 Twist the Sidewinder to add power, bump or nudge to depower. Quarter turns deliver 1cm of trim, five full rotations sheets in 21cm of direct 1:1 trim adjustment! 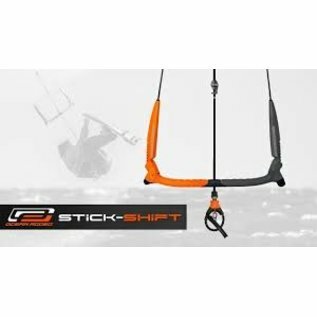 Instantly depower your kite with with a swift downstroke motion on the knob or bump for incremental depower. With only one moving part, the simple open design allows rapid flushing of debris, easy inspection of all parts and simple maintenance if required. With your trim control always within reach, trim adjustment become intuitive and can be made while riding without needing to take your focus off the water ahead.